Novus Staplers can be found in the offices of professionals throughout the world. 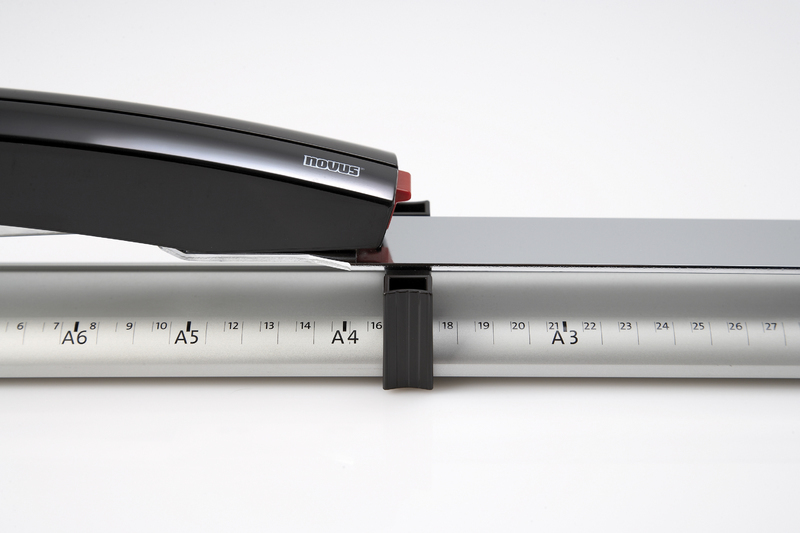 Developed in Germany, these high performance staplers are designed to improve productivity and efficiency at work. 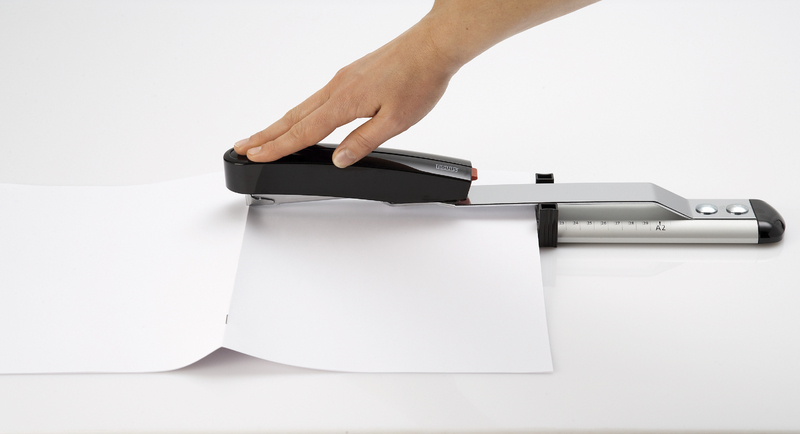 Whether you need to staple a few pages or a stack of 40 Sheets, Novus Staplers will help you get the job done faster and with less effort. The Novus B17 is a high performance Long Arm stapler with an extra long throat depth for saddle stiching booklets. It features a dual staple guide system that provides superior performance and ensures each leg of the staple has even pressure until it clinches your documents. The B17 is a versatile stapler capable of producing either a permanent standard clinch, or temporary pin. The temporary pin mode allows you to easily remove the staple from the back of the document without any other device. This eliminates the need for paper clips or other temporary fasteners. 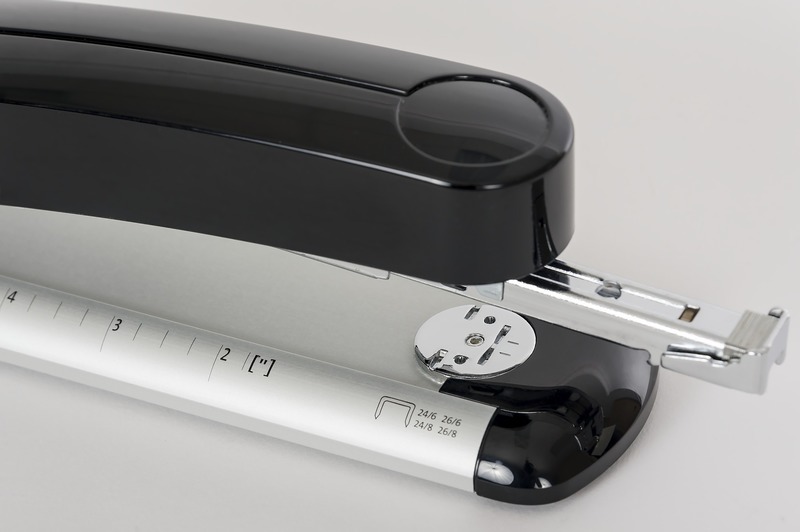 Each mode is easily attained by rotating the circular anvil at the base of the stapler. 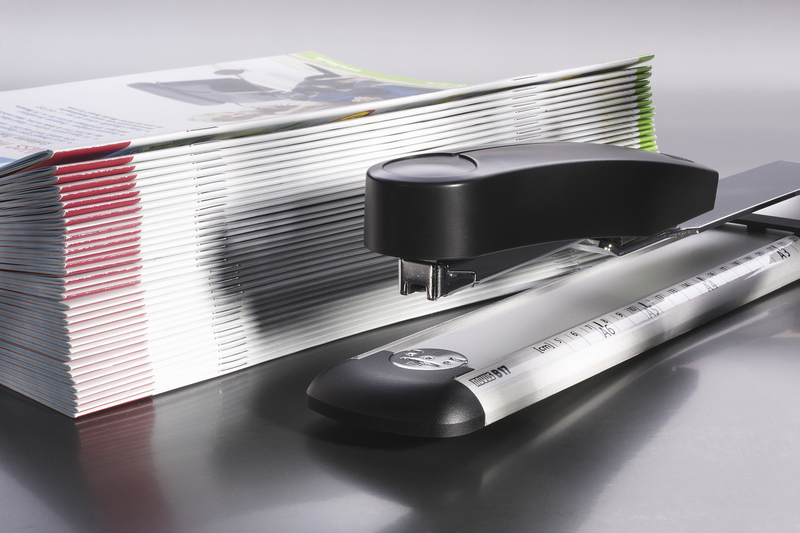 The Novus B17 is 16 1/2" in length has a throat depth of 11 3/4" which makes it perfect for binding booklets as well as everyday stapling. 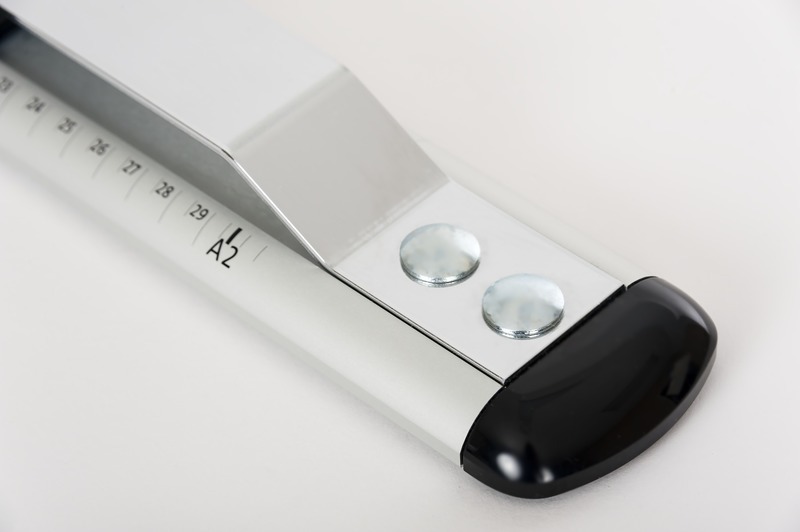 The adjustable depth guide has inch and metric scales and ensures you staple at the desired depth each and every time. For optimal performance, we recommend using Novus 24/6 Super and 24/8 Super staples. These thicker gauge, precision formed staples will ensure your Pro stapler performs as designed. 16.75" x 3" x 2.75"
17.75" x 3" x 3"